Surfing is one of those amazing sports, mesmerizing all who watch. It doesn’t matter if you Surf or not, because the movement and connectability to the environment is effortlessly observed by everyone. Studies show that Surfers only ride a wave for an average of 6 seconds but intensity of the experience lasts for much longer. For me, someone who has only Surfed a handful of times, can feel each movement by only watching the professionals create art with their boards on the waves. Surfing enthusiasts, also called “Surf bums” are mostly unaware that they are also Flow State Surfing Hackers. They are unaware and possibly don’t care about breakthroughs in Science, backing up their claims of “feeling at one with the wave”. They already know that a lack of attention will result in a failure. They’ve learned through experience that a deeply embodied state, utilizing all their senses is required for the task at hand, without entertaining all the distractions that come up along their way. This lesson learned by the Surfers on the waves is called the Flow State. The Following are 7 Triggers to Hack the Flow State Surfing. What I will explain shortly, is that these triggers can also be triggered when you’re NOT on the waves! 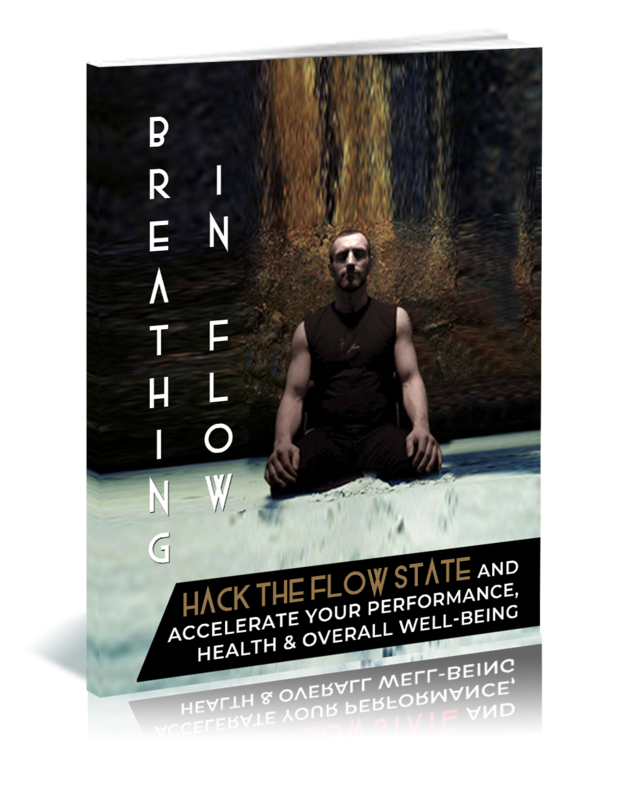 You can also read the complete list, also known as the 17 Flow Triggers an athlete need to experience to hack the Flow State. Surfing gives you a feeling of deep embodiment or total physical awareness. It allows you to harness the power of your whole body, paying attention to only the waves or to the task at hand. You will feel unstoppable and fully immersed with the activity. And because you’re absorbed with the activity, you’re only aware of what’s relevant without thinking of any unrelated things. If your neck is on the line then you are most likely to enter the zone. But this doesn’t just mean physical danger, this can also be emotional, mental and social risk. While you are experiencing a sense of danger, the neurochemicals inside your body, like Endorphin and Dopamine will rise. You will feel a sense of challenge with higher level of stress but it isn’t that good for you. You must create a progressive balance between boredom and anxiety or tension and relaxation. How do surfers balance it? They balance it through regular mindfulness exercises or meditation. One of the doorways to hack the Flow State is to focus intensely to the task at hand. However, you must be in a position that allows you to strongly focus your attention to your goals. Multi-tasking should be avoided; it demands singular and solitude action. Through deep-focused attention, a part of your brain shuts down (Transient Hypofrontality) so you can separate yourself from others, taking all distractions away. Being focused and mindful to the task leads you to a state where you don’t have any worry of failure, you know what has to be done and you just do it. Your mind does have complete control over your body. While this is hard for some, Surfers who regularly practice meditation, like Kelly Slater, can easily stay focused on their task while surfing and allowing their mind to control their whole body. As a surfer, it is essential for you to extend your imagination and creativity during your sports performance. Encourage your mind to think of new bigger ideas, and you should have the courage to bring that new ideas into the world. Surfers who practice meditation do have a relaxed empty mind during their performance. That empty mind will then be filled with huge ideas, where creativity takes place. When you have clear goals, your mind doesn’t have to wonder what to do next. You know what you’re doing and why you’re doing it. Surfing and Meditation can teach you to operate in the NOW, or the present moment. To avoid focusing on the finish line but rather on riding the waves. Many surfers are getting distracted by their past, future or even themselves. Meditation allows you to focus on the clarity of your surfing goals. “I didn’t know where I ended and the wave began” as he propelled effortlessly on a spiraling vortex of water. Have you ever felt that weird feeling where time seems to fly fast while you’re surfing? Where you only noticed the start and the end of your surfing experience, while letting your body go with the waves during the middle of your performance? If you have experienced it so far, then you most definately have tried to get into the Flow State. While you’re in Flow State, time can either feel condensed or expanded, the flow mode is timeless. It is an enjoyable feeling and one of the reasons why most surfers strive hard to get into that wonderful state. So, what is the secret to hack the Flow State while surfing? Mindfulness Meditation. Surfing allows you to be yourself and then merge yourself to the ocean, to be one with the ocean, one with the waves, one with the universe. Through Meditation you’ll be able to temporarily shut down that part of your brain that entertains distraction. A daily Meditation practice allows for more peace. The more time we allow for Meditation, the more relaxed we are on the brink of the day, as if time has been created out of nothing. There are plenty of surfers and celebrities who have personally tried and experienced tapping into the Flow State while riding with the waves. Whether aware or not, their personal experiences have proven that they can keep themselves in that sweet spot, while focusing their attention in the present and maximizing the amount of flow in their activity. While this might be accidental for some, Flow State can be achieved and maintained regularly through some triggers and techniques that only few know. That is through a specific Meditation; a Meditation that connects you to your experiences of being in the Flow State. Keeping in mind that the flow state is behind the driver, it is the core of all movement performance that creates brilliance. Improvement for Surfing doesn’t just mean going to the beach, paddling out and riding the waves. Sure it is the easiest option, but we don’t always have the time or the waves to do so. Not being on the waves, but being in the gym instead does NOT also mean that you can trigger flow. The wise surround themselves with what they want to become. And if you wish to become the best, then you must surround yourself with Flow. So, when you’re in the gym training, you must do Flow triggering exercises to mirror what you do on the waves. Thanks for reading! And stay in Flow State for more.